The Dentsu Aegis-owned creative agency Isobar has remained top of the table when it comes to new business wins for the month of July according to the latest data from digital marketing firm R3. In fact, according to the data, last month’s top five kept the same positions for the month of July. 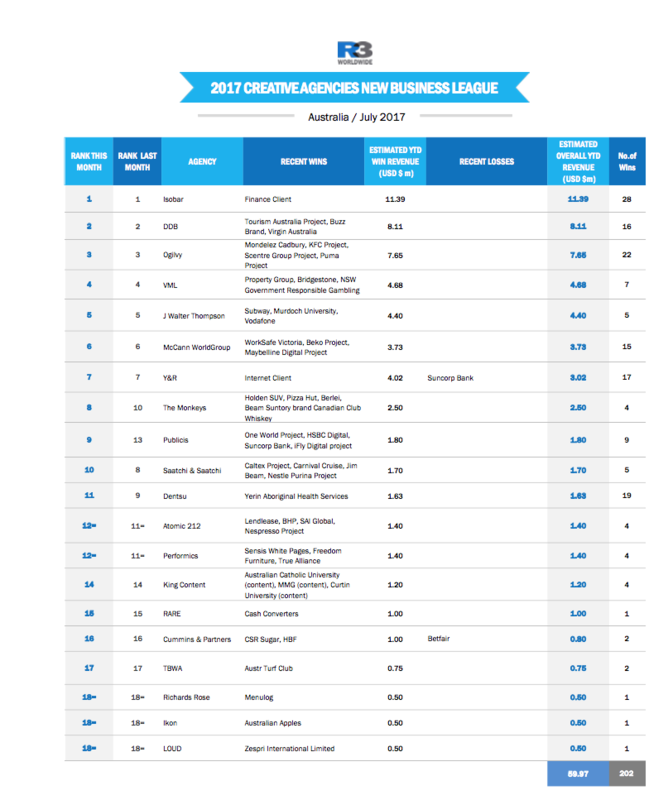 DDB came in second, Ogilvy third, VML fourth and J Walter Thompson rounded out the top five. There was no real movers and shakers in this month’s top 20, with Saatchi & Saatchu slipping two spots to tenth being about the only agency that pretty much didn’t hang on to its position from June.